WHEN WORKING WITH US, IT IS IMPORTANT THAT ALL THINGS ARE TRANSPARENT, PLEASE READ OUR TERMS & CONDITIONS CAREFULLY. The following Terms and Conditions of Service apply to all products and services provided by LimeChilli Design and in the event of any dispute are governed by the laws of Scotland. All work is carried out by LimeChilli Design on the understanding that the client has agreed to our terms and conditions. Copyright is retained by LimeChilli Design on all design work including words, pictures, ideas, visuals and illustrations unless specifically released in writing and after all costs have been settled. If a choice of designs is presented and one is chosen for your project, only that solution is deemed to be given by us as fulfilling the contract. All other designs remain the property of LimeChilli Design, unless specifically agreed in writing. At the time of proposal, LimeChilli Design will provide the customer with a written estimate or quotation by email. These Terms and Conditions can be read at any time on the LimeChilli Design website. Acceptance of the written estimate may be provided by replying to the email containing the estimate. Alternatively, the client may send an official purchase order in reply to the estimate or quotation which binds the client to accept our terms and conditions, or an email acknowledging acceptance of the quotation. For the avoidance of doubt, the LimeChilli Design Terms & Conditions are what govern the job, not any conditions on the customer’s purchase order. Charges for design services to be provided by LimeChilli Design will be set out in the written estimate or quotation that is provided to the customer. At the time of the customer’s signed acceptance of this estimate or quotation, indicating acceptance of the Terms & Conditions, a non-refundable payment of 50% of the quoted fee will become immediately due. Unless agreed otherwise with the Client, all design services require an advance payment of a minimum of fifty (50) percent of the project quotation total before the work commences or is supplied to the Client for review. The remaining fifty (50) percent of the project quotation total will be due upon completion of the work prior to upload to the server or release of materials (or 50/25/25 for some larger projects as determined by LimeChilli Design). Charges for design work do not cover the release of our copyright design source files, including but not restricted to indd, psd, AI, eps, svg, png, fla or other source files or raw code; if the Client requires these files for transfer to an in-house or other designer, they will be subject to a separate quotation for time incurred. The customer will be provided a final proof for sign off (usually via email), and an Invoice prior to final publication. At this time the remainder of the amount due will become payable and the customer will also be required to signify approval by email to LimeChilli Design. Any invoice queries must be submitted by email within 7 days of the invoice date. Payments may be made by online transfer. PayPal payments are subject to fees being covered by the client. Publication and/or release of work done by LimeChilli Design on behalf of the client, may not take place before cleared funds have been received. Returned cheques will incur an additional fee of £50 per returned cheque. LimeChilli Design reserves the right to consider an account to be in default in the event of a returned cheque. An account shall be considered default if it remains unpaid for 30 days from the date of invoice, or following a returned cheque. LimeChilli Design shall be entitled to remove LimeChilli Design ‘s and/or the customer’s material from any and all computer systems, until the amount due has been fully paid. This includes any and all unpaid monies due for services, including, but not limited to, hosting, domain registration, search engine submission, design and maintenance, sub-contractors, printers, photographers and libraries. Customers whose accounts become default agree to pay all LimeChilli Design ‘s reasonable legal and accounting expenses and third party collection agency fees in the enforcement of the debt and these Terms and Conditions. By supplying text, images and other data to LimeChilli Design for inclusion in the customer’s website or other medium, the customer declares that it holds the appropriate copyright and/or trademark permissions. The ownership of such materials will remain with the customer, or rightful copyright or trademark owner. Any artwork, images, or text supplied and/or designed by LimeChilli Design on behalf of the customer, will remain the property of LimeChilli Design and/or its suppliers unless otherwise agreed in writing. A licence for use of the copyright material is granted to the customer solely for the project defined in the scope or request and not for any other purpose. The customer may request in writing from LimeChilli Design, the necessary permission to use materials (for which LimeChilli Design holds the copyright) in forms other than for which it was originally supplied, and LimeChilli Design may, at its discretion, grant this and may charge for the additional usage. Such permission must be obtained in writing before any of the aforesaid artwork, images, text, or other data is used. Any software, code, plugin or other third party material used in a web or digital project remains the property of the creator and any ongoing licence fees or fees for upgrades are the responsibility of the client, not LimeChilli Design. By supplying images, text, or any other data to LimeChilli Design, the customer grants LimeChilli Design permission to use this material freely in the pursuit of the design. Should LimeChilli Design, or the customer supply an image, text, audio clip or any other file for use in a website, multimedia presentation, print item, exhibition, advertisement or any other medium believing it to be copyright and royalty free, which subsequently emerges to have such copyright or royalty usage limitations, the customer will agree to allow LimeChilli Design to remove and/or replace the file on the site. The customer agrees to fully indemnify and hold LimeChilli Design free from harm in any and all claims resulting from the customer in not having obtained all the required copyright, and/or any other necessary permissions. The customer also agrees that LimeChilli Design holds no responsibility for any amendments made by any third party, before or after a design is published. Any design, copywriting, drawing, idea or code created for the customer by LimeChilli Design, or any of its contractors, is licensed for use by the client on a one-time only basis and may not be modified, re-used, or re-distributed in any way or form without the express written consent of LimeChilli Design and any of its relevant sub-contractors. LimeChilli Design will not be held responsible for any and all damages resulting from such claims. LimeChilli Design is not responsible for any loss, or consequential loss, non-delivery of products or services, of whatever cause. The customer agrees not to hold LimeChilli Design responsible for any such loss or damage. Any claim against LimeChilli Design shall be limited to the relevant fee(s) paid by the customer. The client agrees to LimeChilli Design’s definition of acceptable means of supplying data to the company. Text is to be supplied to LimeChilli Design in electronic format as standard text (.txt), MS Word (.docx) or via e-mail / FTP or shared folder. Images which are supplied in an electronic format are to be provided in a format as prescribed by LimeChilli Design via e-mail / FTP. Images must be of a quality suitable for use without any subsequent image processing, and LimeChilli Design will not be held responsible for any image quality which the client later deems to be unacceptable. LimeChilli Design cannot be held responsible for the quality of any images which the client wishes to be scanned from printed materials. Any indication given by LimeChilli Design of a design project’s duration is to be considered by the customer to be an estimation. LimeChilli Design cannot be held responsible for any project over-runs, whatever the cause. Estimated project duration should be deemed to be from the date that cleared funds are received by LimeChilli Design for the initial payment or by date confirmed in writing by LimeChilli Design. The client agrees to allow LimeChilli Design all necessary access to computer systems and other locations, as required, in order to complete a website project and until all due funds are cleared, including the necessary read/write permissions, usernames and passwords. The customer also agrees to allow LimeChilli Design access to any computer systems, usernames and passwords required to remove data and/or sites for failure to comply with these Terms and Conditions. The customer agrees to supply LimeChilli Design with all necessary materials, electronic, or otherwise, required to create and complete the project, and to supply them in a timely manner. LimeChilli Design considers the design project complete upon receipt of the customer’s signed Approval form or signoff email. Other services such as printing, display panel production, filmwork, website uploading, publishing etc either contracted on the client’s behalf constitute a separate project and can be treated as a separate charge. LimeChilli Design require that a template is approved by the customer before coding of a site commences. Once the template(s) for the web site are approved by the customer, coding will commence; any changes to navigation items, colours, structure or content that require changes to the template will incur an additional charge. Once web design is complete, LimeChilli Design will provide the customer with the opportunity to review the resulting work. LimeChilli Design will make one set of minor changes at no extra cost within 14 days of the start of the review period. Minor changes include small textual changes and small adjustments to placement of items on the page. It does not include changes to images, colour schemes or any navigation features. Any minor changes can be notified to LimeChilli Design by e-mail. LIMECHILLI DESIGN will consider that the client has accepted the original draft, if no notification of changes is received in writing from the customer, within 14 days of the start of the review period. LimeChilli Design offers a limited hosting services through an out-sourced virtual server. LimeChilli Design does not guarantee continuous service and will accept no liability for loss of service, whatever the cause. LimeChilli Design may request that clients change the type of hosting account used if that account is deemed by LimeChilli Design to be unacceptable because of poor service, lack of bandwidth or in any other way insufficient to support the website. Fees for hosting on LimeChilli Design’s virtual server are due at the commencement of any period of service and are non-refundable. Fees due to third party hosting organisations are the responsibility of the client and LimeChilli Design are not liable for their payment, nor for the renewal of domain names, which are the sole responsibility of the customer / domain owner. LimeChilli Design cannot guarantee the availability of any domain name. Where LimeChilli Design is to register a domain name on behalf of a client it will endeavour to do so but the client should not assume a successful registration. Due to the infinite number of considerations that search engines use when determining a site’s ranking, LimeChilli Design cannot guarantee any particular placement. Acceptance by any search engine cannot be guaranteed and when a site is accepted, the time it takes to appear in search results varies from one search engine to another. Rankings will also vary as new sites are added. LimeChilli Design recommend that customers use a professional SEO company and are happy to provide details of such companies, but accept no responsibility for their services. The customer agrees to allow LimeChilli Design to place a small credit on printed material exhibition displays, advertisements and/or a link to LimeChilli Design own website on the customer’s website. This will usually be in the form of a small logo or line of text placed towards the bottom of the page. The customer also agrees to allow LimeChilli Design to place websites and other designs, along with a link to the client’s site on LimeChilli Design’s own website for demonstration purposes and to use any designs in its own publicity and portfolios. LimeChilli Design will not include in its designs, any text, images or other data which it deems to be immoral, offensive, obscene or illegal. All advertising material must conform to all standards laid down by all relevant advertising standards authorities. LimeChilli Design also reserves the right to refuse to include submitted material without giving reason. In the situation where any images and/or data that LimeChilli Design does include in all good faith, and subsequently discovers is in contravention to such Terms and Conditions, the customer is obliged to allow LimeChilli Design to remove the contravention without hindrance, or penalty. LimeChilli Design is to be held in no way responsible for any such data being included. Cancellation of orders may be made initially by telephone contact, or e-mail, however, following this, LimeChilli Design will need formal notification in writing to the company’s postal address. The client will then be invoiced for all work completed over and above the non-refundable deposit that will have been made at the time of first ordering. The balance of monies due must be paid within 30 days. Please note: any cancellation which is not formally confirmed in writing and received by LimeChilli Design within 14 days of such instruction being issued, will be liable for the full quoted cost of the project. LimeChilli Design makes no warranties of any kind, express or implied, for any and all products and/or services that it supplies. LimeChilli Design will not be held responsible for any and all damages resulting from products and/or services it supplies. LimeChilli Design is not responsible for any loss, or consequential loss of data, or non-delivery of products or services, of whatever cause. While we take reasonable steps to investigate the materials we recommend, we accept no responsibility for the performance or quality of materials or any consequential loss arising from their failure. The customer agrees not to hold LimeChilli Design responsible for any such loss or damage. Any claim against LimeChilli Design shall be limited to the relevant fee(s) paid by the customer. LimeChilli Design reserves the right to use the services of sub-contractors, agents and suppliers and any work, content, services and usage is bound by their Terms and Conditions. LimeChilli Design will not knowingly perform any actions to contravene these and the client also agrees to be so bound. LimeChilli Design and its clients agree to comply with Printers Terms and Conditions which include disclaimers for non-completion on time and the flexibility to supply quantities within 10% of the total ordered. LimeChilli Design recommend that if an exact quantity is required, then 10% extra is added to the quantity and extra time made available should the job be delayed. These Terms and Conditions supersede any previous Terms and Conditions distributed in any form. 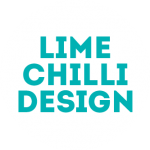 LimeChilli Design reserves the right to change any rates and any of the Terms and Conditions at any time and without prior notice. The placement of an order for design and/or any other services offered by LimeChilli Design, by email, verbally or in writing, is deemed to be acceptance of these terms and conditions, which are freely available at www.glazierdesign.com. An estimate validated by the customer’s signature on the estimate or quotation form, or by email, constitutes acceptance of the estimate or quotation and agreement to comply fully with all the Terms and Conditions and forms a Contract for Business between the signatory and LimeChilli Design.